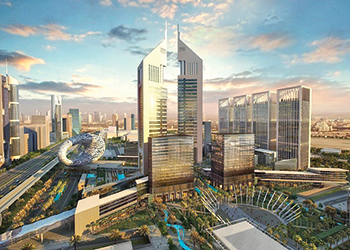 Tecom Group, a member of Dubai Holding, has been appointed to develop and operate the recently announced Emirates Towers Business Park in Dubai, UAE. In accordance, the group has appointed Fareed Abdulrahman Al Janahi as chief executive officer of the development. Tecom Group will develop and manage the project in collaboration with Dubai International Financial City (DIFC), which will provide a legislative environment with international standards of governance and transparency. The new business hub, which is located in close proximity to Emirates Towers, will offer a wide range of office space for international companies looking to move or expand their business in the region. 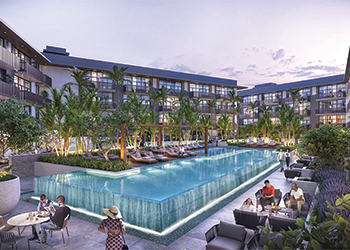 The business park will also include three luxury five-star hotels, retail areas featuring a range of international brands and food and beverage (F&B) options, a dedicated arena for events and ancillary facilities to support corporates. “The launch of the project comes at an opportunistic time when the real estate market in Dubai is witnessing a clear growth in demand for premium commercial and office space. Reports indicate that this growth will continue to increase in the following years. “Premium commercial space accounts for 20 per cent of the total business space currently available in Dubai, with an occupancy rate of 92 per cent. The growing demand for distinguished business space is evidence that Dubai remains a preferred destination for key international and regional companies, given the emirate’s strategic location and business-friendly environment,” she notes. Belgravia III ... a family-friendly development. Belgravia III, the third residential project under the flagship brand of Ellington, provides a premium lifestyle at the right price, the company says. The project, which features 224 spacious studios, one- and two-bedroom apartments, is expected to be completed in mid-2019. Officials sign the finance deal for Mirdif Hills. 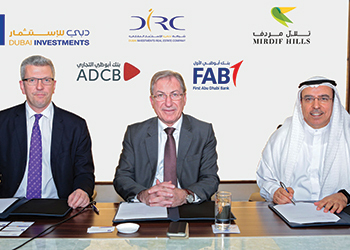 Dubai Investments Real Estate Company (DIRC) has signed a Dh1.1 billion ($299.47 million) financing deal with First Abu Dhabi Bank (FAB) and Abu Dhabi Commercial Bank (ADCB) for its Mirdif Hills development in Dubai. DIRC is the real estate development arm of Dubai Investments, a leading, diversified investments conglomerate listed on the Dubai Financial Market. The project financing was arranged as a club deal by FAB and ADCB. FAB acted as the sole coordinator, joint mandated lead arranger, book runner, issuing bank and account bank. ADCB acted as a facility agent and security agent. Mirdif Hills, which is being constructed in phases with a project cost in excess of Dh3 billion ($816.5 million), is currently the only freehold development situated in the Mirdif area. It is located adjacent to Mushrif Park and is also close to Dubai International Airport. Mirdif Hills is being launched in clusters and will be replete with all lifestyle attractions and a wide array of commercial and retail outlets, community recreation and landscaped areas in a gated environment.